American Made (film, 2017). A 2017 American biographical black comedy crime film with "R" rating by Universal Pictures. Directed by Doug Liman. Official Trailer. American Made is a 2017 American biographical black comedy crime film directed by Doug Liman. 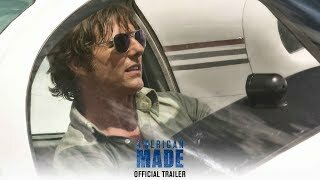 American Made - Official Trailer . In 1978, Baton Rouge pilot Barry Seal, who flies commercial jets for TWA, is recruited by a CIA case officer calling himself Monty Schafer. He asks Seal, who has been smuggling Cuban cigars into the country via Canada, to fly clandestine reconnaissance missions for the CIA over Central America using a small plane with cameras installed. At first Seal's wife Lucy thinks he's still with TWA, but eventually she is excited by the wealth generated by his "new company". Later in the 1980s, Schafer asks Seal to start acting as a courier between the CIA and General Noriega in Panama. During a mission, the Medellín Cartel picks Seal up and asks him to fly cocaine on his return flights to the United States. Seal accepts and starts flying the cartel's cocaine to Louisiana. The CIA turns a blind eye to the drug smuggling, but the DEA tracks Seal down. To avoid the authorities, Schafer moves Seal and his family to the remote town of Mena, Arkansas, which slowly becomes the hub of all U.S. cocaine trafficking. Later, Schafer asks Seal to run guns to the Nicaraguan Contras based in Honduras. Seal soon realizes that the Contras are not serious about the war and just want to get rich and he starts trading the guns to the cartel. The CIA sets up a Contra training base in Mena and Seal flies the Contras in, but many of them escape as soon as they arrive. Seal makes so much money he buries it in suitcases in the backyard. Seal's freeloading brother-in-law JB moves in, needing a job. Eventually, he starts stealing money from the Seals and is arrested after Sheriff Downing catches him with a briefcase full of laundered cash. With JB out on bail, Seal gives him money and a plane ticket to Bora Bora and tells him to get lost for his own safety. JB demands weekly cash and insults Lucy. Barry chases after him but JB's car explodes in a fireball; the cartel of Jorge Ochoa isn't taking any chances. Principal photography began on May 27, 2015 in Georgia. 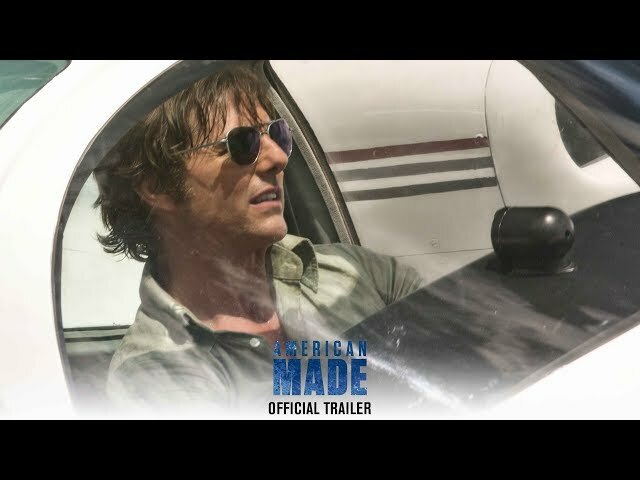 The film American Made was scheduled to be released by Universal Pictures on August 18, 2017 (Taiwan), on September 7, 2017 (Germany), on September 8, 2017 (Turkey) and on September 29, 2017 (United States). The duration of the film is 115 minutes. With a budget of $50 million, the film grossed over $134.9 million. American Made got high rating from critics. The audience also likes the film. Audiences polled by CinemaScore gave the film an average grade of "B+" on a scale ranging from A+ to F.